Will somebody PLEASE get that man some pot holders? In my professional life, I’m a broadcast producer at an advertising agency. I produce television commercials, video content for the web, agency videos, all kinds of stuff. It’s pretty rad. 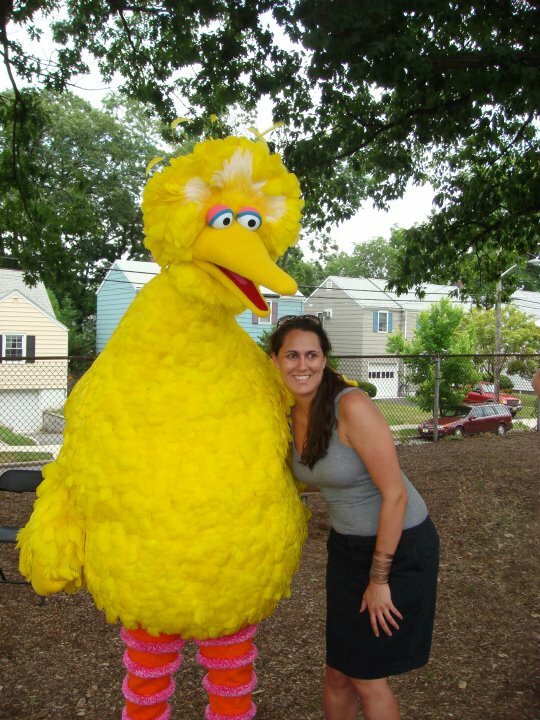 It’s how I met Big Bird. If I’m not watching the best television there is (British television), I always have Food Network or Cooking Channel on in the background. I’m not even going to lie, I actually LIKE Diners, Drive-Ins and Dives. But I refuse to go to Flavor Town. I know inexplicably disgusting innuendo when I hear it. But that’s not the point here. I watch a ton of food TV, so I see a ton of food commercials. And I happened to see this great Frigidaire spot last night, which you can see on their site here. All about the history of Frigidaire and how their company made innovations in the last century. They’re even making innovations today, with this amazing double oven that lets you cook things at multiple temperatures. And then the commercial shows the oven. Then it shows the temperatures the oven is cooking at, which are 350 and 400 degrees, respectively. And THEN it shows the husband carrying two dishes to the table, presumably from the oven, with his BARE HANDS. Preppy Husband carried two casserole dishes straight from the oven with his bare hands. He was smiling and NOT crying, as I almost did when I had to touch a too hot plate at a restaurant earlier this week. The spot is very well produced. And I really want that oven. I just want to buy that man a pair of pot holders. Or at the very least, take him to the hospital. He clearly has some issues. This is my favorite post, to date. Potholders! First, I want the ’50’s kitchen. (’cause i already have the ’50s apron). Second, I want that man. He can clearly multi-task (multiple courses) and delivers with a smile, in spite of the searing pain.